...in passing over the Fatima material John Paul's critics may well have missed the whole point of the book. The Pope himself has said that the year 2000 provides the key to his papacy, which by any standards is one of the most remarkable in the annals of the Church; and his understanding of this Great Jubilee is by no means transparent or one-dimensional. It fits into a wider vision of the shape of history which he nowhere reveals in its entirety. But, by invoking the prophecies of the Virgin Mary at Fatima, he has, arguably, given the game away. (Thompson, D. The End of Time: Faith and Fear in the Shadow of the Millennium, pp173-174). Against this background, we can understand the custom of Jubilees, which began in the Old Testament and continues in the history of the Church. Jesus of Nazareth, going back one day to the synagogue of his home town, stood up to read (cf. Lk 4:16-30). Taking the book of the Prophet Isaiah, he read this passage: "The Spirit of the Lord God is upon me, because the Lord has anointed me to bring good tidings to the afflicted; he has sent me to bind up the brokenhearted, to proclaim liberty to the captives, and the opening of the prison to those who are bound; to proclaim the year of the Lord's favour" (61:1-2). The Jubilee, "a year of the Lord's favour", characterizes all the activity of Jesus; it is not merely the recurrence of an anniversary in time. 12. The words and deeds of Jesus thus represent the fulfilment of the whole tradition of Jubilees in the Old Testament. We know that the Jubilee was a time dedicated in a special way to God. It fell every seventh year, according to the Law of Moses: this was the "sabbatical year", during which the earth was left fallow and slaves were set free. The duty to free slaves was regulated by detailed prescriptions contained in the Books of Exodus (23:10-11), Leviticus (25:1-28) and Deuteronomy (15:1-6). In other words, these prescriptions are found in practically the whole of biblical legislation, which is thus marked by this very specific characteristic. In the sabbatical year, in addition to the freeing of slaves the Law also provided for the cancellation of all debts in accordance with precise regulations. And all this was to be done in honour of God. What was true for the sabbatical year was also true for the jubilee year, which fell every fifty years. In the jubilee year, however, the customs of the sabbatical year were broadened and celebrated with even greater solemnity. As we read in Leviticus: "You shall hallow the fiftieth year, and proclaim liberty throughout the land to all its inhabitants; it shall be a jubilee for you, when each of you shall return to his property and each of you shall return to his family" (25:10). One of the most significant consequences of the jubilee year was the general "emancipation" of all the dwellers on the land in need of being freed. On this occasion every Israelite regained possession of his ancestral land, if he happened to have sold it or lost it by falling into slavery. He could never be completely deprived of the land, because it belonged to God; nor could the Israelites remain for ever in a state of slavery, since God had "redeemed" them for himself as his exclusive possession by freeing them from slavery in Egypt. If in his Providence God had given the earth to humanity, that meant that he had given it to everyone. Therefore the riches of Creation were to be considered as a common good of the whole of humanity. Those who possessed these goods as personal property were really only stewards, ministers charged with working in the name of God, who remains the sole owner in the full sense, since it is God's will that created goods should serve everyone in a just way. The jubilee year was meant to restore this social justice. The social doctrine of the Church, which has always been a part of Church teaching and which has developed greatly in the last century, particularly after the Encyclical Rerum Novarum, is rooted in the tradition of the jubilee year. 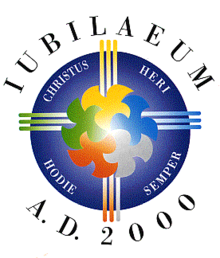 In view of this, the two thousand years which have passed since the Birth of Christ (prescinding from the question of its precise chronology) represent an extraordinarily great Jubilee, not only for Christians but indirectly for the whole of humanity, given the prominent role played by Christianity during these two millennia. It is significant that the calculation of the passing years begins almost everywhere with the year of Christ's coming into the world, which is thus the centre of the calendar most widely used today. Is this not another sign of the unparalleled effect of the Birth of Jesus of Nazareth on the history of mankind? Jesus said to Sr Faustina one day: "Humanity will never find peace until it turns with trust to Divine Mercy" (Diary, p. 132). Divine Mercy! This is the Easter gift that the Church receives from the risen Christ and offers to humanity at the dawn of the third millennium. Speak to the world about My mercy... It is a sign for the end times. After it will come the Day of Justice. While there is still time, let them have recourse to the fountain of My mercy. Before the Day of Justice, I am sending the Day of Mercy. He who refuses to pass through the door of My mercy must pass through the door of My justice. (Diary 1146). You have to speak to the world about His great mercy and prepare the world for the Second Coming of Him who will come, not as a merciful Savior, but as a just Judge. Oh how terrible is that day! Determined is the day of justice, the day of divine wrath. The angels tremble before it. Speak to souls about this great mercy while it is still the time for granting mercy. What these Popes have accomplished during and since the Council, in their Magisterium no less than in their pastoral activity, has certainly made a significant contribution to the preparation of that new springtime of Christian life which will be revealed by the Great Jubilee, if Christians are docile to the action of the Holy Spirit. The Church feels herself called to this mission of proclaiming the Spirit, while together with the human family she approaches the end of the second Millennium after Christ. Against the background of a heaven and earth which will "pass away," she knows well that "the words which will not pass away" acquire a particular eloquence. They are the words of Christ about the Holy Spirit, the inexhaustible source of the "water welling up to eternal life," as truth and saving grace. Upon these words she wishes to reflect, to these words she wishes to call the attention of believers and of all people, as she prepares to celebrate- as will be said later on-the great Jubilee which will mark the passage from the second to the third Christian Millennium. (Dominum et Vivificantem. See full text here). We can thus see the intent of the symbolic gesture made by the Pope during his pilgrimage to the Holy Land during the Great Jubilee year, when on 23rd March, 2000, he became the first pope in history to pray in the Cenacle - the Upper Room in Jerusalem where the Last Supper was held, and the same location where the Holy Spirit descended upon the Apostles during Pentecost. As we shall discuss in more detail in a future post, the scene of the tongues of fire descending upon Apostles during Pentecost was reenacted during the apparitions of Our Lady of Assiut on the Great Jubilee year on 29th March 2000 (just days after the Pope's prayers in the Cenacle) - one of the most remarkable apparitions of modern times (which I argue in the book are directly connected to the prophecy of the Woman Adorned with the Sun in Rev 12). According to eyewitness accounts, the apparitions at Assiut began inside the Church at an icon representing the descent of the Holy Spirit at Pentecost, which depicted the Virgin Mary with a Dove over her head surrounded by the disciples. The Dove in the icon began to illuminate first, and the light then spread down to illuminate the heads of the disciples before spreading around the rest of the Church (see the full eyewitness report at the Zeitun website here). “‘And in the last days it shall be, God declares, that I will pour out my Spirit on all flesh, and your sons and your daughters shall prophesy, and your young men shall see visions, and your old men shall dream dreams; even on my male servants and female servants in those days I will pour out my Spirit, and they shall prophesy. And I will show wonders in the heavens above and signs on the earth below, blood, and fire, and vapor of smoke; the sun shall be turned to darkness and the moon to blood, before the day of the Lord comes, the great and magnificent day. And on a further side note, the mention of the "blood, and fire, and vapor of smoke" that was predicted by Joel to accompany the signs in heaven would most likely correspond with the 9/11 attacks in 2001 (see the post The Two Towers and the Sixth Seal). It is impossible to take the measure of this event of grace which in the course of the year has touched people's hearts. But certainly, "a river of living water", the water that continually flows "from the throne of God and of the Lamb" (cf. Rev 22:1), has been poured out on the Church. This is the water of the Spirit which quenches thirst and brings new life (cf. Jn 4:14). This is the merciful love of the Father which has once again been made known and given to us in Christ. At the end of this year we can repeat with renewed jubilation the ancient words of thanksgiving: "Give thanks to the Lord for he is good, for his love endures for ever" (Ps 118:1). For all this, I feel the need to write to you, dearly beloved, to share this song of praise with you. From the beginning of my Pontificate, my thoughts had been on this Holy Year 2000 as an important appointment. I thought of its celebration as a providential opportunity during which the Church, thirty-five years after the Second Vatican Ecumenical Council, would examine how far she had renewed herself, in order to be able to take up her evangelizing mission with fresh enthusiasm. Has the Jubilee succeeded in this aim? Our commitment, with its generous efforts and inevitable failings, is under God's scrutiny. But we cannot fail to give thanks for the "marvels" the Lord has worked for us: "Misericordias Domini in aeternum cantabo" (Ps 89:2). At the same time, what we have observed demands to be reconsidered, and in a sense "deciphered", in order to hear what the Spirit has been saying to the Church (cf. Rev 2:7,11,17, etc.) during this most intense year. Dear Brothers and Sisters, it is especially necessary for us to direct our thoughts to the future which lies before us. Often during these months we have looked towards the new millennium which is beginning, as we lived this Jubilee not only as a remembrance of the past, but also as a prophecy of the future. The circumstance which now moves me to take up this subject once more is the prospect of the year 2000, now drawing near, in which the Bimillennial Jubilee of the birth of Jesus Christ at the same time directs our gaze towards his Mother. In recent years, various opinions have been voiced suggesting that it would be fitting to precede that anniversary by a similar Jubilee in celebration of the birth of Mary. In fact, even though it is not possible to establish an exact chronological point for identifying the date of Mary's birth, the Church has constantly been aware that Mary appeared on the horizon of salvation history before Christ. It is a fact that when "the fullness of time" was definitively drawing near-the saving advent of Emmanuel - he who was from eternity destined to be his Mother already existed on earth. The fact that she "preceded" the coming of Christ is reflected every year in the liturgy of Advent. Therefore, if to that ancient historical expectation of the Savior we compare these years which are bringing us closer to the end of the second Millennium after Christ and to the beginning of the third, it becomes fully comprehensible that in this present period we wish to turn in a special way to her, the one who in the "night" of the Advent expectation began to shine like a true "Morning Star" (Stella Matutina). For just as this star, together with the "dawn," precedes the rising of the sun, so Mary from the time of her Immaculate Conception preceded the coming of the Savior, the rising of the "Sun of Justice" in the history of the human race. Her presence in the midst of Israel-a presence so discreet as to pass almost unnoticed by the eyes of her contemporaries-shone very clearly before the Eternal One, who had associated this hidden "daughter of Sion" (cf. Zeph. 3:14; Zeph. 2:10) with the plan of salvation embracing the whole history of humanity. With good reason, then, at the end of this Millennium, we Christians who know that the providential plan of the Most Holy Trinity is the central reality of Revelation and of faith feel the need to emphasize the unique presence of the Mother of Christ in history, especially during these last years leading up to the year 2000. (Redemptoris Mater 3. See full text here). In these latter times Mary must shine forth more than ever in mercy, power and grace; in mercy, to bring back and welcome lovingly the poor sinners and wanderers who are to be converted and return to the Catholic Church; in power, to combat the enemies of God who will rise up menacingly to seduce and crush by promises and threats all those who oppose them; finally, she must shine forth in grace to inspire and support the valiant soldiers and loyal servants of Jesus Christ who are fighting for his cause. ...the humble Mary will always triumph over Satan, the proud one, and so great will be her victory that she will crush his head, the very seat of his pride. She will unmask his serpent's cunning and expose his wicked plots. She will scatter to the winds his devilish plans and to the end of time will keep her faithful servants safe from his cruel claws. But Mary's power over the evil spirits will especially shine forth in the latter times, when Satan will lie in wait for her heel, that is, for her humble servants and her poor children whom she will rouse to fight against him. (See the full chapter of the relevant portion of Treatise on True Devotion here). The kernel of John Paul II's thought on the precursory role of Mary and its relation to the Second Advent and the turn of the millennium in the 1987 encyclical Redemptoris Mater, can be found in a prayer service the Pope held at the Spanish Steps on 8th Dec, 1983.
the horizon of our century. You are the light of the first Advent! You are the morning star that precedes the coming of the Messiah. so that darkness does not surround us! Dear brothers in the episcopal ministry. On 25 March 1983 we started the special Jubilee of the Redemption. Thank you again for joining me in inaugurating, in that same day, the Year of the Redemption in your diocese. The solemnity of the Annunciation, which recalls the liturgical year in the beginning of the work of redemption in human history, was particularly suited for such opening. This is connected with the beginning of Advent, and all the current Year of the Redemption has in a sense the character of Advent, as we approach the two thousand years after Christ's birth. We live this expectation of the fulfillment of the second millennium of the Christian era, sharing difficult and painful experiences of the people, indeed all humanity in the contemporary world. This world of men and nations we have before our eyes today: the world of the second millennium is ending, the contemporary world, our world! The Church, remembering the words of the Lord: "Go... and make disciples of all nations... Here I am with you always, until the end of the world " (Mt 28, 19-20), has revived, in Vatican Council II, the consciousness of his mission in this world. And therefore, O Mother of men and peoples, you who know all their sufferings and their hopes, you who feel maternally all the struggles between good and evil, between light and darkness, which afflict the modern world, accept the plea that, moved by the Holy Spirit, address directly to your heart, hugs with love of the Mother and Handmaid of the Lord, that our human world, that I entrust and consecrate to you, full of concern for the earthly and eternal destiny of and peoples. In a special way we entrust and consecrate to you those individuals and nations, which thus entrusted and consecrated especially need. Immaculate Heart! Help us to conquer the menace of evil, which so easily takes root in the hearts of people today, and whose immeasurable effects already weigh down upon our modern world and seem to block the paths towards the future! From famine and war, deliver us! From nuclear war, from incalculable self-destruction, from every kind of war, deliver us! From sins against human life from its very beginning, deliver us! From hatred and from the dignity of the sons of God, deliver us!From every kind of injustice in society, national and international, deliver us! From readiness to trample on the commandments of God, deliver us! From attempts to stifle in human hearts the very truth of God, deliver us! From the loss of awareness of good and evil, deliver us! From sins against the Holy Spirit, deliver us! deliver us! (The original Italian is here. Both this original Italian document, as well as that of the prayer service held at the Spanish Steps above, bear the date of 8th Dec 1983). St. John Bosco also pointed to this time period as the moment of a great Marian victory (see here), as did Fr. Stefano Gobbi (see here). And in the post The Year of the Dragon, we discuss various other prophecies concerning the turn of the millennium. he shall bruise your head, and you shall bruise his heel. Yet God my King is from of old, working salvation in the midst of the earth. You divided the sea by your might; you broke the heads of the sea monsters on the waters. You crushed the heads of Leviathan; you gave him as food for the creatures of the wilderness. The God of peace will soon crush Satan under your feet. The grace of our Lord Jesus Christ be with you. And when the dragon saw that he had been thrown down to the earth, he pursued the woman who had given birth to the male child. But the woman was given the two wings of the great eagle so that she might fly from the serpent into the wilderness, to the place where she is to be nourished for a time, and times, and half a time. The serpent poured water like a river out of his mouth after the woman, to sweep her away with a flood. But the earth came to the help of the woman, and the earth opened its mouth and swallowed the river that the dragon had poured from his mouth. “Everyone then who hears these words of mine and does them will be like a wise man who built his house on the rock. And the rain fell, and the floods came, and the winds blew and beat on that house, but it did not fall, because it had been founded on the rock." It is at this same point in time that the prophecy of the mark of the Beast is fulfilled as an antithetical parallelism of the sealing of the saints in heaven during the opening of the sixth seal. The forerunner to the Antichrist - the False Prophet or "anti-Elijah", has already prepared the way for the coming of the Beast by causing the inhabitants of the earth to construct for themselves an image in its honour - an image which is one and the same as the "mark" bearing the number of its name. Then I saw another beast rising out of the earth. It had two horns like a lamb and it spoke like a dragon. It exercises all the authority of the first beast in its presence, and makes the earth and its inhabitants worship the first beast, whose mortal wound was healed. It performs great signs, even making fire come down from heaven to earth in front of people, and by the signs that it is allowed to work in the presence of the beast it deceives those who dwell on earth, telling them to make an image for the beast that was wounded by the sword and yet lived. And it was allowed to give breath to the image of the beast, so that the image of the beast might even speak and might cause those who would not worship the image of the beast to be slain. So each of these prophecies converge on a single point in time - a prophetic nexus that was the millennial anniversary of the Advent of Christ. A time period which John Paul II pointed to as the ushering in of a new Advent, guided by the Morning Star of the Theotokos - the God-bearer. The one who crushes the head of the Serpent to illuminate the way before the dawn of the Second Pentecost, when the Bride will prepare itself for the coming of the Groom. If the Triumph of the Immaculate Heart of Mary began on the Great Jubilee year, then it should be thought of as occurring over an age rather than a specific moment in time. It is an ongoing process in an age which will bring forth a new springtime for the faith before the Second Coming of Christ, when the Triumph will finally be complete and the final trial will begin. I have to say, that I was just blown away at the end of this post and understood for the first time at the striking parallel between Mary giving birth to Jesus and fleeing into the wilderness, and the woman adorned with the son doing the exact same thing but it being the Church and her seed. The time between fleeing and then to persecution in both instances being a time of preparation for persecution. 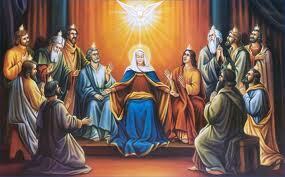 Now I get why we Will have a Second Pentecost. It reflects Jesus time of growing preaching and teaching. Does this make any sense to anyone else? Or am I just babeling? "Now his parents went to Jerusalem every year at the Feast of the Passover. And when he was twelve years old, they went up according to custom. And when the feast was ended, as they were returning, the boy Jesus stayed behind in Jerusalem. His parents did not know it, but supposing him to be in the group they went a day's journey, but then they began to search for him among their relatives and acquaintances, and when they did not find him, they returned to Jerusalem, searching for him. After three days they found him in the temple, sitting among the teachers, listening to them and asking them questions. And all who heard him were amazed at his understanding and his answers. I wonder if the next significant event in the history of salvation is to happen soon? It will be interesting to see if anything of spiritual importance occurs during the course of this year. When there were a series of earthquakes/Japanese tsunami/Qld flooding early last year a priest commented in the newspaper that people were returning to church. All light in the heavens will be extinguished, and there will be great darkness over the whole earth. Then the sign of the cross will be seen in the sky, and from the openings where the hands and the feet of the Saviour were nailed will come forth great lights which will light up the earth for a period of time. This will take place shortly before the last day. I was sitting in front of Jesus in the Tabernacle at the time it hit me for what it's worth. Your explanation makes a ton of sense. You could almost see a rekindling of the Faith imagery taking place in that passage further as Mary (the Church) finding Jesus again after a time of confusion and almost panic trying to find her son. I may be reaching here, but it's interesting to note. Looking at various private revelations Jamey, it does seem that the Second Pentecost will be preceded by a "great sign" (the approved ones being that mentioned by Joe above, as well as in the prophecies of Akita), and that it is also connected with the martyrdom of a pope. But it's almost impossible to determine exactly how these events will unfold in advance. "I am the good shepherd. The good shepherd lays down his life for the sheep. He who is a hired hand and not a shepherd, who does not own the sheep, sees the wolf coming and leaves the sheep and flees, and the wolf snatches them and scatters them. He flees because he is a hired hand and cares nothing for the sheep. I am the good shepherd. I know my own and my own know me, just as the Father knows me and I know the Father; and I lay down my life for the sheep. And I have other sheep that are not of this fold. I must bring them also, and they will listen to my voice. So there will be one flock, one shepherd." Amen to that emmett! May all Christians one day soon profess the Faith of the One Holy Catholic and Apostolic Church. Oh Imacculate Heart of Mary we place our trust in thee. Go to the 25 min. mark of the following interview with Malachi Martin and this may be the event that triggers the Triumph. Do you have any other thoughts Emmett? Cheers Jason, that was a good interview! So much controversy around Martin, he seemed very switched on and aware of where things were at in the church and the world at large. When he spoke about churchmen destroying the church I thought of Perth Cathedral which recently had $31 million spent on it, and was de-Catholicised almost to the point of sacrilege. The new altar is about 20 metres away from the tabernacle, the beautiful grand high altar gone. The church has been widened and the narrow vertical lofty feeling gone. The accoustics were destroyed due to the amount of glass used and as a result the choir must now stand in front of the tabernacle with their backside to it. One priest called it the "abomination of desolation." A non believing friend said it felt like someone had been murdered there, I thought the faith. Another person commented, it is odd when the Perth Anglican Cathedral is more Catholic than St Mary's. Going to mass there leaves one with the feeling that they haven't gone. Thanks Jason! I've heard that clip before - it is very insightful. Yes it does seem that martyrdom will definitely go hand-in-hand with the Second Pentecost/Triumph. “And there will be signs in sun and moon and stars, and on the earth distress of nations in perplexity because of the roaring of the sea and the waves..."
He answered them, “When it is evening, you say, ‘It will be fair weather, for the sky is red.’ And in the morning, ‘It will be stormy today, for the sky is red and threatening.’ You know how to interpret the appearance of the sky, but you cannot interpret the signs of the times. Pretty interesting. Has a lot to do with the orbit of Venus. I don't know if you can make anything out of it, but a good watch indeed. Might help. Thanks for that Joe! There is some pretty interesting stuff in there, although some of it appears to be over-reaching and convulted. But I did see something important among the Scripture references which is almost certainly related to the interpretation of the Third Secret, which I'll include in a post that I'm working on. But we are to experience 1000 years of peace says the Bible. Is this 1000 years after the warning? The Fatima message refers to an era of peace, Fr. Gobbi's book states that Satan will be chained and thrown into Hell "once and for all" and also, "from which he (Satan) can no longer get out." But the Bible states in Revelation that, He (Satan in the end) will be loosed for a while. I don't see how Satan being "loosed for a while" fits in to the prophetic landscape? If this period coming is the "final" coming of Jesus and Satan is chained and thrown into Hell, from which he no longer can get out, How does this jive with Satan being loosed for a while? "Knowing their thoughts, he said to them, “Every kingdom divided against itself is laid waste, and no city or house divided against itself will stand. And if Satan casts out Satan, he is divided against himself. How then will his kingdom stand? And if I cast out demons by Beelzebul, by whom do your sons cast them out? Therefore they will be your judges. But if it is by the Spirit of God that I cast out demons, then the kingdom of God has come upon you. Or how can someone enter a strong man's house and plunder his goods, unless he first binds the strong man? Then indeed he may plunder his house." Satan will only be thrown into the lake of fire following the resurrection of the dead and Last Judgment. While he fell from grace, the Book of Job and the Book of Revelation tells us that he still had access to the heavenly court, and could come and go between heaven and earth at a whim. Rev 12 tells us that he would be cast to earth by the archangel Michael at some point near the end of the world - a period which corresponds to the end of his hundred years of power. After which he tranfers his power and authority to the beast which rises from the sea in Rev 13 - i.e. the person of the Antichrist. The original secrets of La Salette tell us that the era of peace would not last long before it is disturbed by the coming of a monster. A scenario which is similar suggested by the fact that the Second Pentecost will be established by the Two Witnesses, who will in turn be killed by the beast which rises from the bottomless pit Rev 11:7. This suggests that there is only a few decades at most between the Second Pentecost/era of peace and the coming of the Antichrist. There will not be a few decacdes. It will be the beginning of a New Age of long duration. Don't forget that to God, a day is a thousand years and a thousand years is like a day. The Sabbath Day's rest for humanity will last for long human years. "..."...[After a world war] will come a new period, in which two mighty ones will face each other. The wrangle between these two will begin in the second half of the twentieth century. It will overthrow mountains and silt up rivers. A great change will come to pass, such as no mortal man will have expected; Heaven and Hell will confront each other in this struggle, old states will perish and light and darkness will be pitted against each other with swords, but it will be swords of a different fashion. With these swords it will be possible to cut up the skies and split the earth. A great lament will come over all mankind...And neither of the two adversaries will conquer nor be vanquished. Both mighty ones will lie on the ground, and a new mankind will come into existence. God possesses the key to everything. Blessed is he who will then be able to praise him, having obeyed all his commandments. And the great monarch of the world will create new laws for the new mankind and will cause a new age to begin, in which there will be only one flock and one shepherd, and peace will be of long, long duration, for the glory of God in heaven and on earth. The Sixth Age of the Spirit commences with the powerful Monarch and the Holy Pontiff...This will be an age of consolation in which God will console His Spirit of the affliction and the great tribulation of the preceding age. All the nations will be united in the Catholic faith. The sacerdocy will flower more than ever, and men will seek the kingdom of God in all solicitude... Many saints and doctors will flourish in the earth. Men will love reason and justice. Peace will reign in all the universe, because the divine power will bind Satan for many years, until the son of perdition will rave anew...It is in that age that the relation of the sixth Spirit of the Lord will be known, that is to say the Spirit of Wisdom that God diffuses over all the surfaces of the globes in those times. For men will fear the Lord their God, they will observe the law and serve it with all their heart. The sciences will be multiplied and complete on the earth. The Holy Scriptures will be unanimously understood, without controversy and without the errors of heresies. Men will be enlightened, so much as in the natural sciences and in the celestial sciences. Finally, the Sixth Church, the Church of Philadelphia, is the type of this sixth age, for Philadelphia signifies friendship of brothers, and again guarding the heritage in union with the Lord. Now all these characters convene perfectly in the sixth age, in which they will have love, concord and perfect peace and in which the powerful Monarch will have to consider almost the entire world as his heritage. He will deliver up the earth, with the aid of the Lord his God from all his enemies, of ruin and of all evil...For likewise, in this epoch, the people of Israel will be consoled to a very high degree by the Lord, our God, who will deliver them from the captivity of Babylon. The kingdoms, the nations, and the people will submit to the Roman Empire [new global structure], furiously vanquished by the very powerful and very illustrious monarch who will govern during fifty-six years, rendering the peace of the universe...Thus, in the Sixth Age, God will delight his Church with the greatest prosperity...this monarch will reign in the orient and in the occident. All the nations will come and adore the Lord their God...for all nations will be brought to the unity of the True catholic faith..."
The Great Monarch will reign for 56 years and then the world shall be under the shadow and protection of his successors. "...The Lord will give good pastors to the Church. Men will live in peace and this will be granted because people will make their peace with God. They will be reconciled with the one God. They will live in the shadow of the powerful Monarch and of his successors; under the protection of the Great Monarch and his successors..."
This implies a long time after the 56 year reign of the Monarch. It will be a renaissance of the human spirit "for the glory of God in heaven and on earth". Heaven cannot be glorified by a "few" human deacdes. I would question whether the above "prophecy" was a geniune private revelation. It is taken from Ven. Holzhauser's Interpretatio Apocalypsis, which was written in the 17th century. This work is mostly personal speculation based on various Medieval prophecies of varying degrees of authenticity, rather than being a direct vision. Crucically, the chronology of the Interpretatio Apocalypsis is based on the millenarianism of Joachim de Fiore (12th century)- whose work on this subject was condemned as heresy by Pope Alexander IV in 1256 and again at the Synod of Arles in 1263, and was also confuted by St. Thomas Aquinas. Some people tend to treat such prophecies as the same level of authority as Scripture - which is a very serious error. The Church teaches that even geniune private revelations can be mistaken, given that they are subject to the limitations of the seer. "Before all that arrives, great disorders will arrive, in the Church, and everywhere. Then, after [that], our Holy Father the Pope will be persecuted. His successor will be a pontiff that nobody expects. Then, after [that], a great peace will come, but it will not last a long time. A monster will come to disturb it." This is from the "Visions" not the "Apocalypsin". Are you aware of the important prophecies relating to England in Holzhauser's works (both "Visions" and "Apocalypsin"? I am new to your blog so I don't know). I would be more considerate to Ven. Holzhauser. Pope Benedict XVI is very appreciative of his writings (when the Pope came to Britain in 2010, a copy of his writings was given as a gift to Benedict. I believe the pope has read them in their original German). 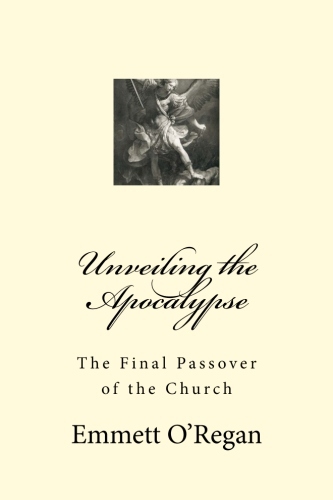 It is true that the Apocalypsin (but not the Visions) has information and common motifs that were used by all medieval writers from Joachim of Fiore (who was condemned for his beliefs in a Trinitarian set-up to history in which the Papacy would be replaced by a council of twelve, which Holzhauser and other Orthodox writers do not borrow from him although they take other things which are useful since his writings are among the most translated of the middle ages and he did admit his errors and submit to the Mgisterium). The Great Monarch, Angelic Shephered and an evil Persian ruler (Chroseos) was taken, as in many medieval texts, from Joachim for Holzhauser "interpretatio" on his Visions. La Salette has not been approved by the Vatican The bishop granted publication of this message. Rome has the authority to overturn the local bishop's decision. Although it has never happened that Rome overturned a local bishop's condemnation, there have been several cases Rome overturning the local bishop's approval. Other prophecies hint at a long period of time. The most credible of the Marian apparitions mentiong a period of peace (Fatima), gives no indication of time frame. Millenarianism is condemned. Christ will not return to rule as an earthly, seculat Messiah. He is alresdy enthroned as King of Kings above all creation in his glorified resurrection state. However the Triumph of the Immaculate Heart and the Rule of the Church on earth, can last for as long as God wills. PS The Interpretatio is an interpretation of the Apocalypse with insight from Hokzhauser's own visions and his use of prior prophetic work. I agree with you that prophets can be fallible. All the Church does with any private apparition or prophecy is declare that there is nothing in it contrary to faith and morals. Only Public Revelation is certainly true and complete. Once more, Holzhauser's authentic visions indicate many years of peace, a long duration. His commentary on Revelation, suffused with his own insights and what scholarship in his age was able to tell him about past predictions, confirms this. BTW just to point out: It should be noted that Holzhauser's division of history follows Augustine's division of history into Seven Ages (or six, with the final seventh age) and not Joachim of Fiore's 3 millenarian ages. There is a Catholic Encloepedia from 1900-1911 which erroneously states that Holzhauser division was based upon Joachim. All that Holzhauser has in common with Joachim is what Joachim in turn took from the likes of the 7th century Pseudo-Methodius and all subsequent medieval prophets predicted: a Great Monarch, an Angelic Pope, tribulations, antichrist. Joachim shares this with many others. The key difference is that Holzhauser and other Orthodox writers set the age of peace BEFORE antichrist, whereas Joachim sets his third age of the Holy spirit AFTER Antichrist and is the millenarian heresy. I see no dependence of Holzhauser on Joachim apart from what Joachim has in common with all other authorities. The encloepedia article is thus wrong in that respect. Sorry for bothering you Emmitt! I have wrote too much. Apologies. Thanks for that detail Anon! I didn't realise that was in the visions. I hope Ven. Holzhauser is right, and that there is an extended era of peace for humanity. There's no harm in being optimistic, and no one knows the day or hour. I cite Ven. Holzhauser's prophecy of the conversion of England somewhere on the blog - this will be the start of the Second Pentecost. My own opinion on the duration of the Second Pentecost is mostly formed from Rev 11, which tells how the Two Witnesses are killed by the Beast/Antichrist. The Two Witnesses are the ones who inaugrate the Second Pentecost (one of whom is the Elijah to come, who Malachi 4 tells us will bring the people back to the faith of their fathers before the terrible Day of the Lord). If the Two Witnesses are indeed killed by the Beast/Antichrist, then it stands to reason that it takes place over a single human life time. I see the progression as something like what Emmett envisions except that the Second Pentecost, with related signs, will initially awaken humanity and cause the Gospel to be preached universally. Humanity's response to this, within a relatively short interlude, will condition the severity of the prophesied Chastisement (and an Antichrist), but the Era of Peace and the Triumph of the Immaculate Heart (which I would also argue is the full flowering of the Second Pentecost) will come one way or the other. The Era and Triumph will last a long time, and then the Final Antichrist will arise.